The next 60 minutes at work is so much bigger than Big Data. You are sitting at your desk, steering wheel, client office, home workspace , rail station or coffee bar. You have the next 60 minutes ahead of you. You close your eyes and imagine what will happen. 60 minutes of being at work. 60 minutes of being a modern day worker. 60 minutes in the world of work. 60 minutes of doing more. And more. And more. Because we live in a world of numbers and 60 is as good as any number considering we are living in a Big Data world. Terminology for numbers abound ( quintillion for example ) that make most of us uncomfortably move in our seat as we struggle to comprehend the mega-trends being fired at us from all angles. The scale of what the numbers mean are overwhelming. Our brains whilst some of the most sophisticated ‘devices’ on this planet cannot comprehend what the rate of digital change is all about. We therefore politely acquiesce and nod meekly that ‘Yes Big Data is what we need’ in our quest to sound relevant and to ensure we are part of the future. As we nod our heads we secretly wonder what Big Data really means to us, how we can get it and when we will know when we get it? 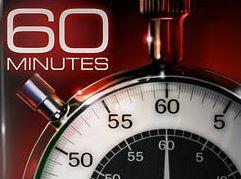 Meanwhile the 60 minutes tick tock around the clock, as we face the reality of those precious ( never to be reclaimed ) 60 minutes and how we must not waste them. I read somewhere that the average worker has 147 API connections. Excuse me? Put plainly that the average worker uses software on devices to connect and communicate with information sources that require on average 147 touch points ( APIs ) between all of these information sources. Another number? Another meaningless numbers? Well sort of but in the context of the next 60 minutes, intrinsically linked. Think back 5 years ago. What level of productivity did you use? Did you interact will multiple ‘touch points’ in a seamless unconscious fashion on numerous devices and ways of interacting with the information, allowing you to access the information ( knowledge ) you needed to do your work? Did you interact will multiple ‘touch points’ in a seamless unconscious fashion on numerous devices and ways of interacting with the information, allowing and ways of interacting with the information you to access the information ( knowledge ) you needed to do your work? How about 15 years ago? 20 years ago? The answer to each of these questions will range from “it was quite cumbersome. Very analog. Very time consuming with periods of waiting, sending information, waiting and so on”. You may also answer ” getting things done became a battle as we tried to share knowledge across our business using tools that didn’t really encourage open communication”. You may also answer ” in any 60 minutes I would be lucky to use technology just to achieve a handful of tasks”. In today’s 60 minutes our lives at work are very much different. Technology is no longer a time consuming barrier ( it shouldn’t be I mean ). Nowadays we have a lot of choice in how the 60 minutes are going to play out. Perhaps we use more than one device. Very likely. Perhaps we use more than a dozen applications or resources. Very likely. Perhaps we don’t print or scan any content. Possible. Perhaps we aggregate information from different sources and use tools to analyse and share the outputs. Almost certainly. Perhaps we use resources in a workplace that allow us to be mobile and freely work wherever we want regardless of the technology we choose to use. Probably. Perhaps we collaborate with other workers using various tools to share thoughts and support each other proactively. Definitely. Perhaps we collaborate with other people further a field whether a supplier, a client, a contractor or a citizen. Totally. Of course we are really talking about processes. Those simple every day tasks we commit to every 60 minutes of the day. Regardless of our role, title and pay grade. Some of these processes are analog and belong to us personally ( making notes, building To Do Lists, sending emails ) . Some of these processes are digitized and belong to a significant workflow that drives behavior and change. Some of these processes are a mix of everything – perhaps a meeting, walk by chat or sketching a graphic to explain your point. The list is endless but at the end of the day they are all processes. To me I sense IBM are really saying that for these organizations that outperform their competitors, the ‘use of the next 60 minutes’ is exceptionally more productive for all the workers, regardless of grade, location or role.’ In fact, I would categorically state that these organizations empower their workers to be more productive in the next 60 minutes through the blend of technology, with business process and collaborative partnership; regardless of location, device or connectivity choice. You see, you can have as much Big Data as you want, but give me the most optimal next 60 minutes and I’m all yours.